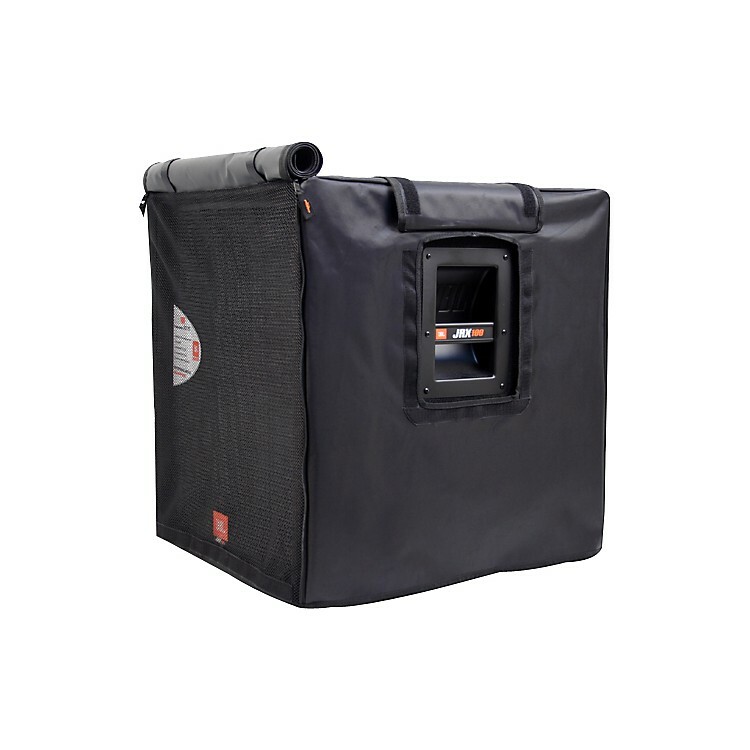 Genuine, heavy-duty JBL cover that features a roll-away access panels. Keep your hard-working JBL JRX218S subwoofer looking like new with this genuine JBL cover. The unique convertible design of this heavy-duty cover allows full functionality of your subwoofer while it's being protected. There are roll away access panels that cover the front grille, rear inputs, and carry handles. To keep the grille cover open while using the speaker, simply grab the #10 nylon coil zippers and roll up the panel and fabric hook and loop fasteners keep it out of the way. The cover's black, water-resistant exterior is accented by a bright orange-and-white embroidered JBL logo on the grille area. Order now to keep your sub looking like new.